When shopping for jicama pick the smaller ones; they have the best flavor and texture. 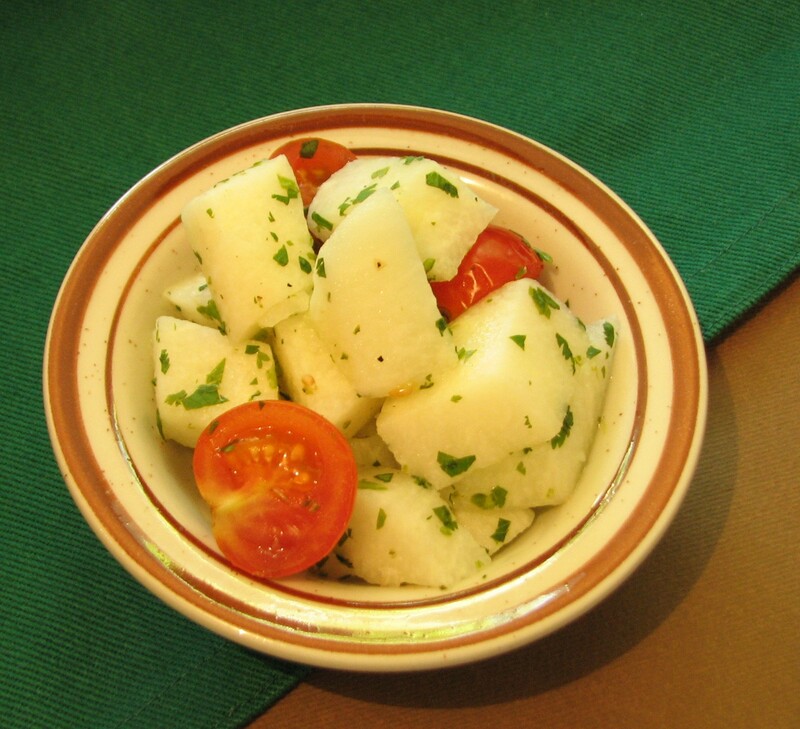 To get the most crunch out of your jicama, cut it up, then soak it in salt water and refrigerate for as long as 24 hours. This entry was posted in Uncategorized and tagged cooking, isimmer blog, isimmer.com, light salads, mexican, salads, Susan Beach, top chef, vegetarian. Bookmark the permalink. The taste of jicama is very particular, I love it.